Trip Log – Day 267 – Mount Rainier MD to Washington DC | How Will We Live Tomorrow? It rained hard all night. My dreams came in torrents. I woke fully rested to the first cool breeze in over a week. 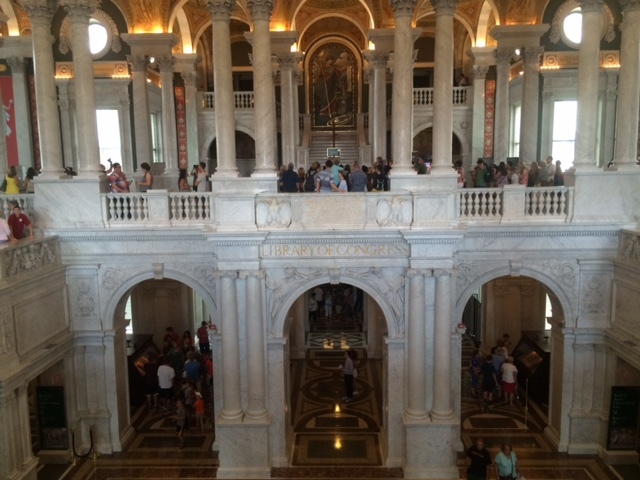 July in DC is for tourists, and so I played the tourist on my one day in a place that is not a state. My host rode me into DC. We breakfasted at a combo bike/coffee shop in Brookland, an up and coming neighborhood. 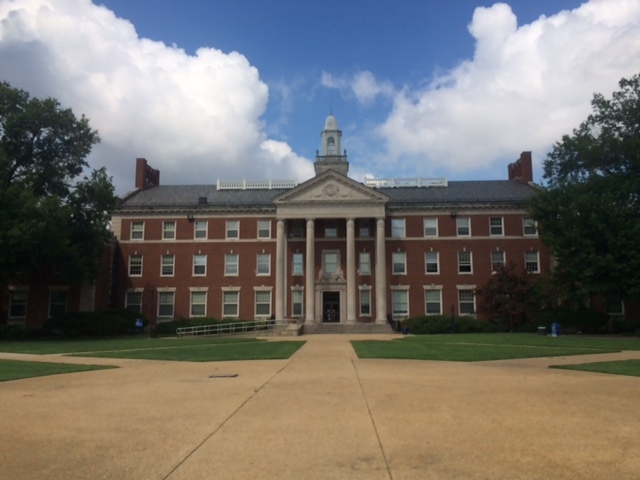 Then I pedaled over to Howard University and spent several interesting hours with people from the School of Architecture; a very enthusiastic bunch the day after the Democratic Convention. 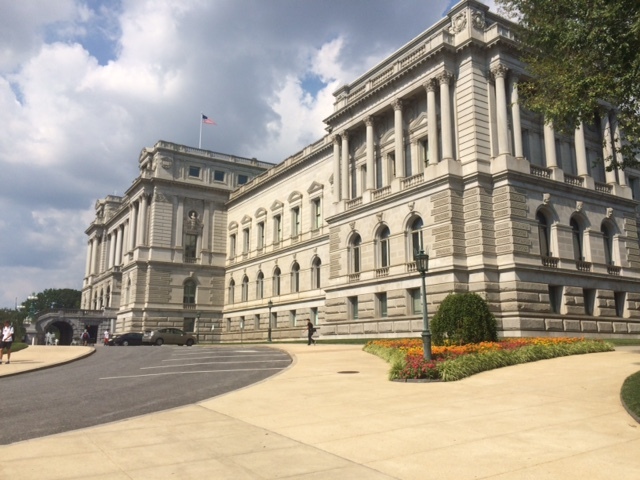 Though I have been to DC many times, there are always new places to see. 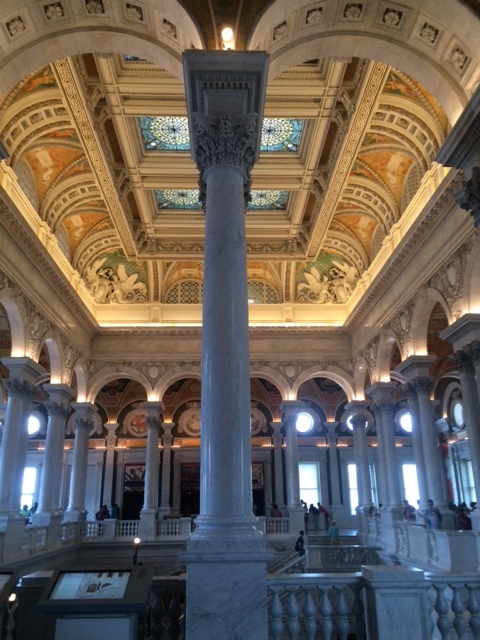 Since I have been spending so much time in libraries on this trip I visited the Library of Congress. The tour of this incredible building (1897 Beaux Arts masterpiece with breathtaking interiors) is worthwhile. The contents of this amazing institution (163,000,000 articles, and 12,000 new ones every day) are beyond imagining. Anyone over 16 with a valid ID can access the materials. Somewhere buried in those stacks is Architecture by Moonlight, but I didn’t ask for a copy. I’ve already read it. I stayed in the Dupont Circle neighborhood, which is a happening place on a Friday night. This entry was posted in Bicycle Trip Log and tagged Brookland, Howard University, Library of Congress, Washington DC. Bookmark the permalink. Architecture by Moonlight, written by you?